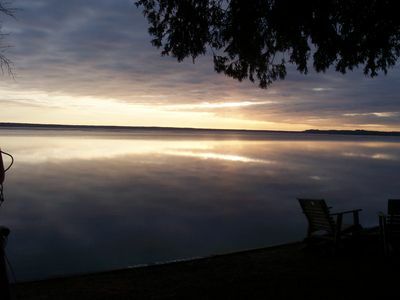 WREN ROOST--Nettie Bay, MI: Row Boat inc., shared dock, swim here! ATV's welcome! 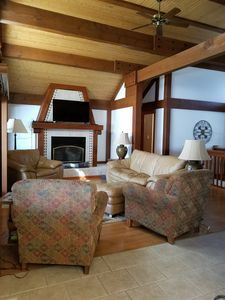 At Wren Roost, you are able to see the lake on one side of the cottage and woodlands on the other! 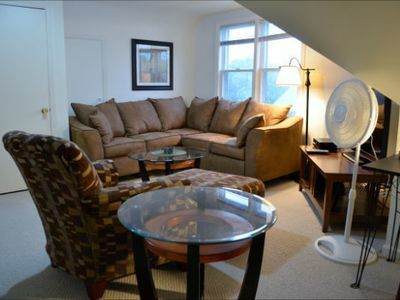 Although you do see other cottages on the complex, Wren Roost, is great for a small family getaway. 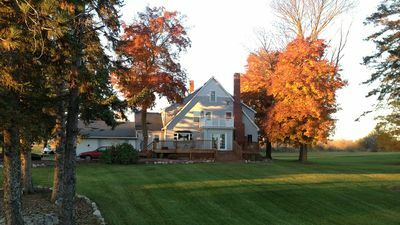 Wren Roost shares a wall with Owls Nest, as it is a duplex style home. 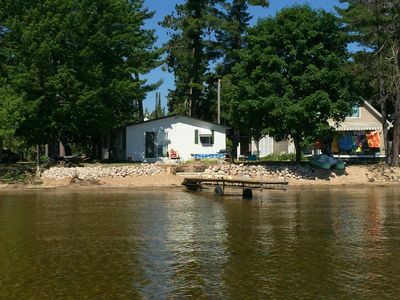 Remember, you can either rent just one cottage or multiple cottages at Nettie Bay. 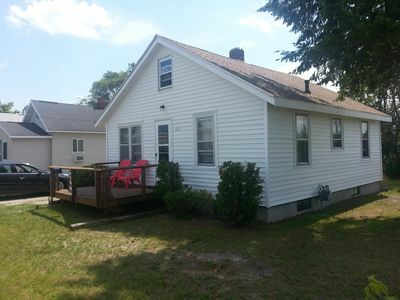 The cottage plays host to a small kitchen which has all your basic utensils, a picnic table and a 14' private boat. Wren Roost does share a dock with Owls Nest for your enjoyment! In addition, there are a couple of adiorrondak chairs to relax in as your roast your marshmallows over your private fire-pit. 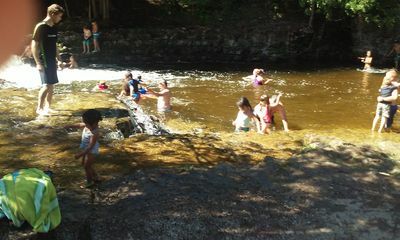 NettieBay is a great place to bring the family to enjoy your vacation. The outdoor fire pit, shared by all guests, is just the right spot for evening songs and storytelling. Lake Nettie is known as a wonderful fishing lake. 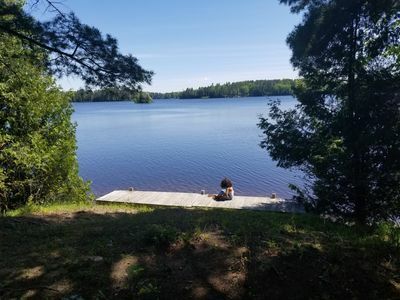 Species of fish include: pan fish (blue gill, sun fish, rock bass, black crappie), small mouth bass, large mouth bass, northern pike, perch and the occasional walleye. If fly fishing is your passion, enjoy one of the many nearby streams of fish or the secluded 23 acre bullhead lake full of large mouth bass/large sun fish. 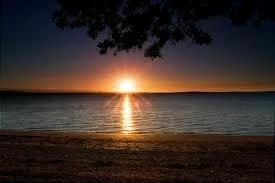 Enjoy swimming, kayaking, canoeing, boating on the bay. 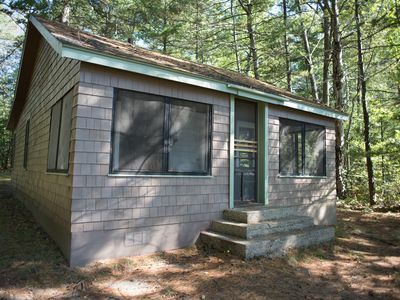 Also, you can take a nature hike through 2000 private acres and enjoy wildlife viewing. 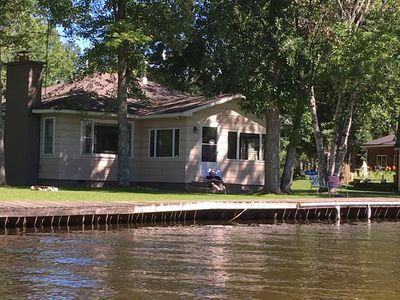 All available to you while staying with us in your lakeside cottage. ATV's: Yes! They are allowed on the property and there are miles and miles of trails nearby in which you can also explore! You can also travel along the shoulder of the county road (legally!). Beach/Swimming: Private beach area steps away. The layout is as follows: the grass--a couple feet of sand--and the sandy-bottomed beach. There is a bit of a sandy play area for the kiddos to enjoy! Cell phone service: Pretty good! Fishing: Great fishing in both summer and winter months. Quiet lake. Well stocked. Grill: The portable fire-pit doubles as a grill. You can use either wood or charcoal when you are cooking on the fire-pit grill. Charcoal can be bought from nearby store or on-site. If you prefer a more traditional charcoal grill, just ask, and one will be provided! 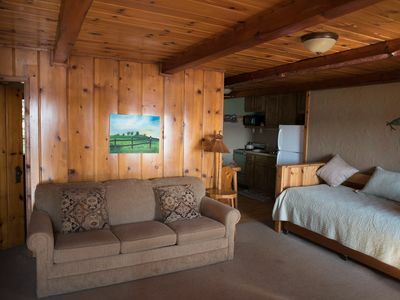 Internet: There is wi-fi in which guests can access while sitting on the Lodge patio. Signals in cabins are spotty depending on your provider. There is an 8ft. awning on the patio in case of bad weather. If you plan on "working" while on vacation, I would not recommend this property as the signal is temperamental! Linens: Yes, we provide your sheets and linens. Just like a hotel, the beds will be made for you upon arrival. If you are fussy about the thread count of your sheets, just let me know, and I'll make sure we leave a bed open for your sheets. We have just the basic sheets, pillows, pillow cases and bath towels. 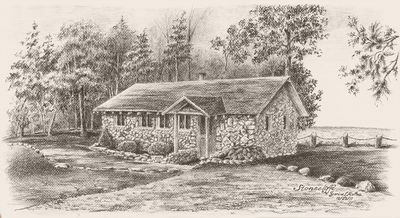 The Lodge: The Lodge is off limits to guests. 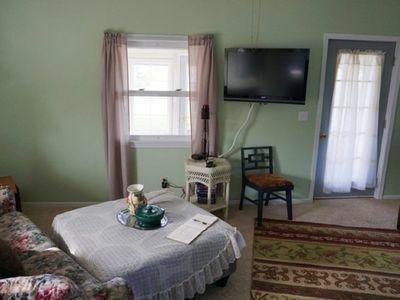 However, guests can rent it out. 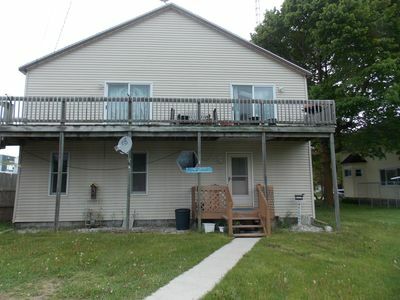 For example, If you rent, let's say 4 cabins, but want your whole group to all eat inside one day together, you are able to rent out the space (kitchen included) for $100 a day. Parking: Onsite free parking. There is plenty of space for trucks and trailers! Playground: There is a small playground area for all the children of NettieBay to play on! Snowmobiles: YES! They are welcomed and encouraged during the winter months! Our main trail is a mile from the Lodge and can be accessed from the Lodge. Space: There are a total of 8 cabins. Rent one or rent a few. Washer and dryer: There is a washer and dryer facility on-site that guests can use for a few quarters! 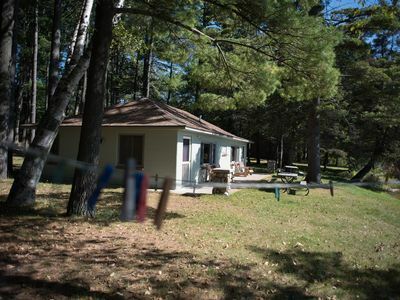 The laundry access is on the west side of the Lodge (gray door). The laundry facility is open from 9am-4pm. Wood: Wood can be purchased at the nearby store, brought by guests, collected from the nearby forests by guests, or bought on-site. 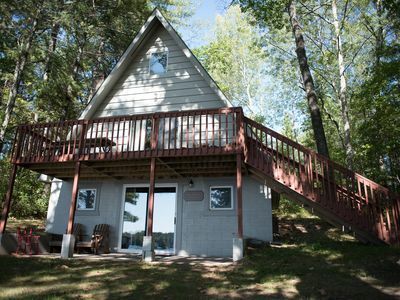 2 Waterfront Cottages - Hot tub, wi-fi, air conditioning - Tranquility! 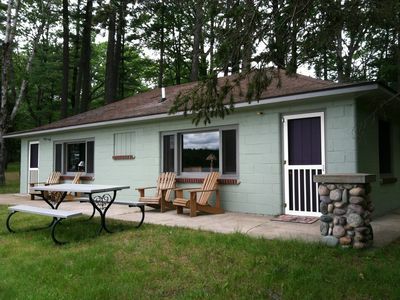 EAGLES NEST--Nettie Bay, MI: Open year-round! Great fishing! 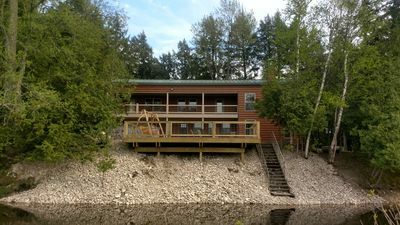 THE BADGER PAD--Nettie Bay, MI: ATV's welcome! Private rowboat & dock to use! 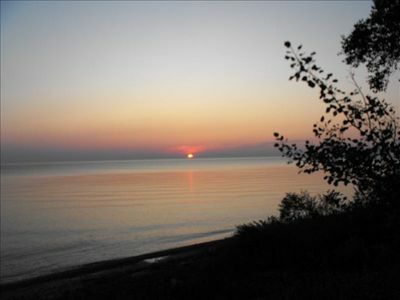 THE FINCH--Nettie Bay, MI: Sleeps 4, Row Boat included, Great fishing! ATV's welcome! 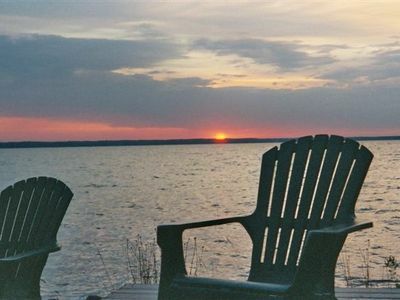 BLACK LAKE SUNSET DREAMS (Onaway, MI): We have central air! ! 1 hr. to Mackinac Bridge!